Halloween isn’t just a night for children so here is my trick or treat wishlist! Here is my collection of gorgeous, pumpkin themed items that I want to get in time for Halloween. 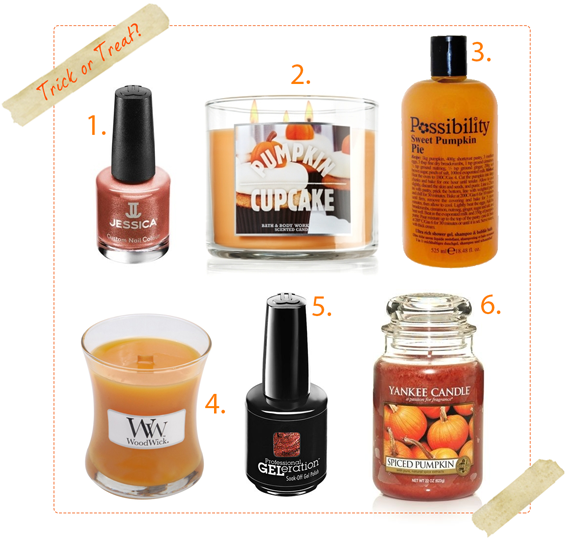 Pumpkins have a lovely scent and my favourite in this list is the Woodwick candle. Woodwick candles if you havent had one before have a wooden wick (as the name suggests). This makes it perfect for the winter months as it crackles like a little wooden fire as it burns and lasts for ages!